Moving is among the top life stressors, along with divorce, the death of a loved one, and losing your job. Add to that the stress of planning a move during the busiest time of the year, and you have a recipe for disaster. 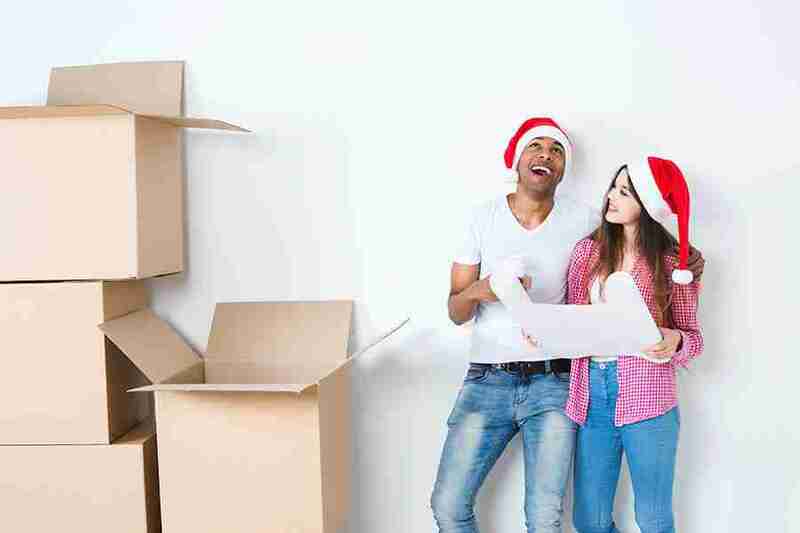 The holiday season happens to fall during the off-peak time for packing and moving companies, which can mean lower rates and will make finding movers easier. However, poor weather conditions often make it more difficult for movers to access buildings, navigate streets, and load and unload items. It also makes it less likely your friends and family will be available to help you move. Understandably, many people want to be settled into their new homes before the holiday season starts so they can prepare for guests and festivities. So, to avoid turning into a Grinch when moving home, try these tips for managing moving stress during November and December. Getting a head start is the easiest and best way to avoid a stressful move. You can often begin to plan your move weeks in advance by booking your movers early, packing non-essential items, and organizing to have your utilities shut off. Since the weather can be slightly unpredictable, you may need to add an extra week or two to your moving calendar and have a contingency plan in place, such as a temporary place to stay or a storage unit. Don’t forget to include a budget in your planning to ensure there aren’t any unexpected costs that might derail your holiday plans. Clutter is a major stressor in any home, so why take it with you when you move? Going through your home and purging unnecessary items room by room will not only help you to take the stress out of your move, but it can also free up space for new items you may acquire during the holidays. As a bonus, if you have a yard sale or sell your unwanted items online, you will have some extra cash in your pocket to buy gifts for your friends and family. 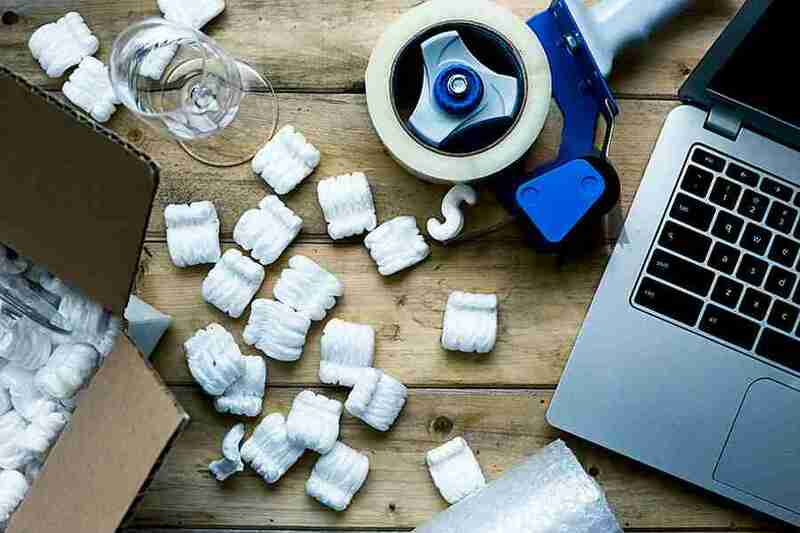 Although November and December may not be the busiest time for professional movers, it can be one of the busiest times of year for everyone else. Working, planning festivities, and completing other tasks often take over your life toward the end of the year, leaving you little time to start organizing your move. But, the later you leave it, the more stressful the move will be. Schedule a few hours where you can focus on packing and organizing your move. Packing in one or two long time blocks will be more efficient than if you pack in short, irregular bursts. If you have kids, schedule a babysitter. If you have a lot of work, ask for a day off and avoid scheduling other commitments on the weekend around your packing time. Moving involves a lot of paperwork, from closing papers to rental agreements, to moving contracts. However, there are also several other important documents that are best kept with you at all times. For example, birth and marriage certificates, school records, recent bills, bank records, and lists of essential contact details. 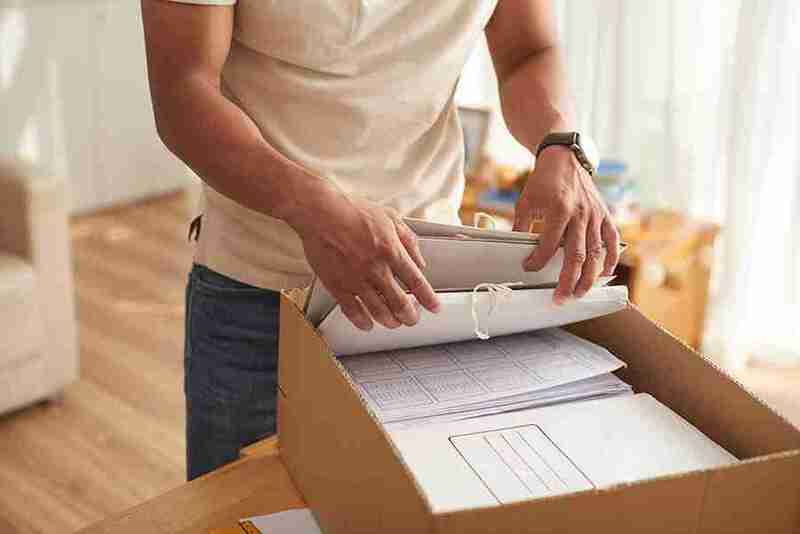 To avoid losing these crucial papers during the move, organize and keep them inside a folder on your person during the move for easy reference. It will make it easier to contact the movers in case of delays from holiday traffic, and it will ensure you can contact banks, schools, and utility companies to change your new address. Moving during the winter months will usually mean poor weather conditions. The last thing you need is to be searching for a warm towel and a fresh pair of clothes after a whole day of packing and loading trucks. If you are moving your family, allocate a labeled tote box for each member, and keep these in an easily accessible place for when you arrive at your new home. Some things you might like to include are fresh clothes, a towel, toothbrushes, a set of sheets, and something to entertain the kids. Wet sidewalks and muddy boots can wreak havoc on fresh carpets and moving during cold weather means you’re bound to incur some messy floors. To avoid any extra cleaning, try putting down some protection for the floors, both inside your new home and your old home. Flattened cardboard boxes will work well against mud, but, for a more waterproof solution, use plastic sheets. If you are short on both materials, just put them in high traffic areas to minimize the mess. Many people mistakenly believe that packing and transporting items in winter is the same as during the summer months. However, when the weather hits sub-zero temperatures, many of your items are at risk of damage. Sensitive items include electronics, musical instruments, house plants, glass, and wooden furniture. Most items can be covered in extra layers of bubble wrap, insulated packing materials, and thick blankets for protection. However, electronics may require specialized storage containers that have an airtight seal. Wooden furniture should be waxed in preparation for the move at least two weeks in advance. You should also take care to pack liquids in suitable containers to avoid freezing and breakage. Manage your stress by ensuring your new home is as inviting as possible when you arrive. Organize to have the utilities switched on at least one day before you arrive, so your house is warm and lit, and there is running hot water. Clean your new home a day or two before you move in for one less task to worry about. Move in the large furniture first and set up beds in bedrooms and arrange for a place to sit in the living room. Don’t plan to cook on your first night. Collect a few local takeaway menus and treat your family to a well-earned meal. The holiday season should be a time for enjoying the company of your family and friends, and what better place to do that than in your new home? Unfortunately, bad weather and busy schedules can mean that moving during the winter months can be a stressful experience. Luckily, there are many ways you can minimize stress during your move. Try some of these simple tips to make your move go smoothly.